The Rabbis of old believed that the Torah was divinely revealed and therefore contained eternal, perfect truths and hidden meaning that required elucidation. The meaning of a text was more complicated than simply reading it. And meaning changed over time. This understanding of how the Bible mystically relates to all of life is the fertile ground from which midrash emerged. "The rabbis believed that nothing in the Bible, not the choice of words or their spellings, not the order of events or the relationship of one text to another, was haphazard or inconsequential. Everything was there with purpose. They deemed it their reponsibility to discover connections and harmony where on the surface none appeared to exist. A text may contain multiple meanings. Time is of no consequence. They felt free to read back into old stories what happened in future eras, and to see in the early stories of Genesis a foreshadowing of future events." 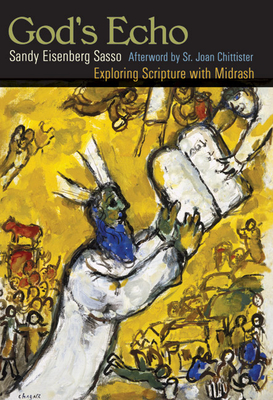 In this engaging book, Rabbi Sasso explores how midrash originated, how it is still used today, and offers new translations and interpretations of more than twenty essential midrash texts.